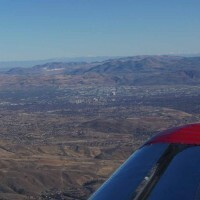 A few posts back I mentioned that my wife and I traveled down to the San Francisco Bay area to visit some friends and get to get a ride in one of their airplanes. Our involvement in aviation circles has allowed us to meet some fantastic people working in all facets of aviation. One of those people is Frank Schelling, the owner of an original 1918 Curtiss JN-4H “Hisso Jenny” based at the Schellville, CA airport (0Q3). 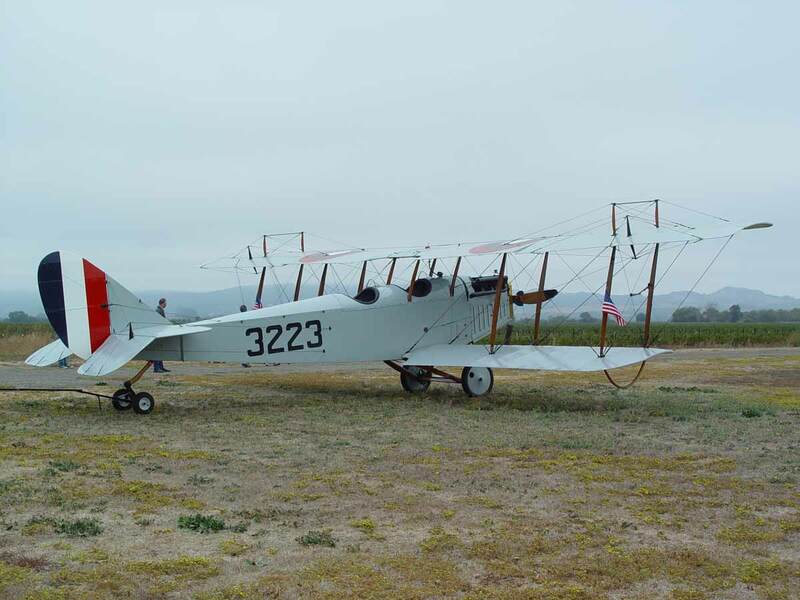 Frank bought a restorable Jenny in 1972 and spend the 31 years restoring it to it’s original flying condition. 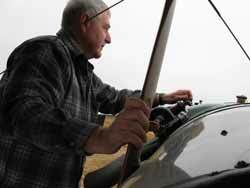 Frank has a private pilot certificate that he obtained in 1968, but he does not fly the Jenny solo. There are 3-4 pilots/instructors who have been checked out to fly the Jenny and are named on the aircraft insurance policy. 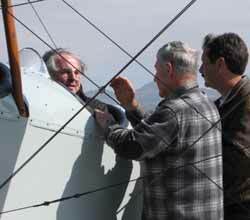 Frank gets immense joy in watching other people experience the thrill of Jenny flying. He invited my wife and I to come to the Schellville airport and experience the effects of his Time Machine. In this photo Frank Schelling is giving me a briefing on the Hisso starting procedures while Robin Reid, the instructor who will be flying with me in the Jenny’s front seat watches. Robin is also an airline pilot with the company I work with and took time out from one of his days off to fly to Schellville and show me some of the finer points of Jenny flying. Frank did a little pre-oiling on the Hisso engine, then stepped back and prepared to hand-prop the engine while I operated the spark-generator from the aft cockpit. Once the the Hisso engine roared to life and reached operating temperatures Robin taxied to the far end of Schellville’s grass runway. Remember, I said that this was an original restoration. 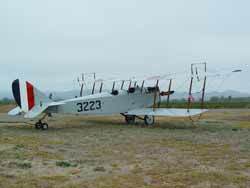 This Jenny has a tail skid rather than a tail wheel and is not equipped with wheel brakes. The drag from the skid helps to keep the Jenny’s tail behind it’s nose and also helps slow the aircraft after landings. Robin kept the airplane moving, swung the tail around and applied full power for the takeoff from the grass and dirt area parallel to Schellville’s runway 25. 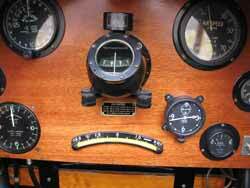 As soon as the plane was safely airborne, I took over the controls and time traveled backward to the 1920’s. 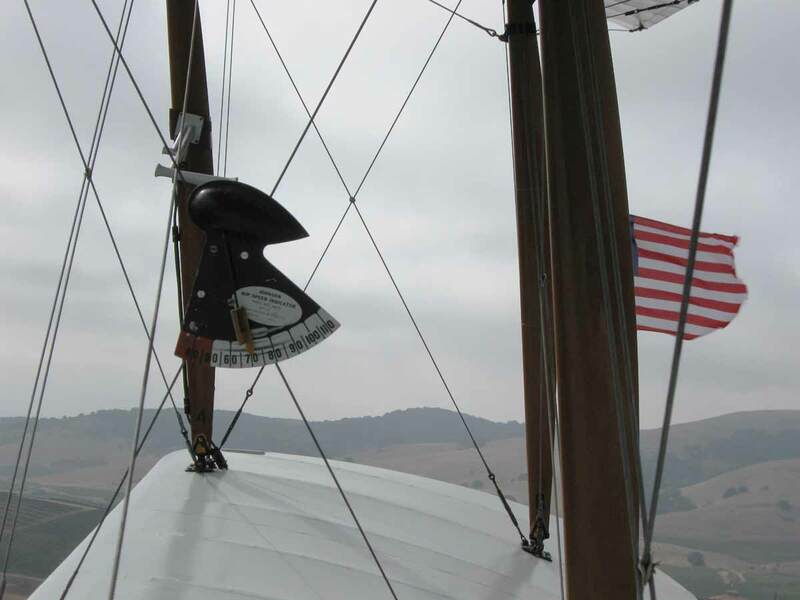 Sitting in the back seat of the Jenny gives you a panoramic view of the full wing span with it’s beautiful wood struts and vibrating flying wires. 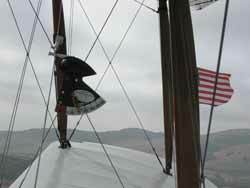 Frank has attached American flags to the outer struts that trail aft as the Jenny flies. They add to the flying experience and act as an additional skid indicator similar to the piece of yarn that you often find on glider windshields. 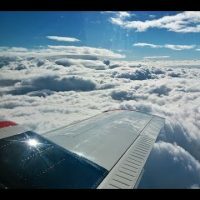 In my short flight I noticed that the sound of the wind in the flying wires was the best indication of speed and the wind in your face was the best indication when you were slipping or skidding. There are instruments installed in the panels in the cockpits, but I found that I rarely looked inside – the outside view was too mesmerizing. There is an airspeed indicator installed between the inboard set of wing struts on the right wing. It spent most of it’s time indicating between 70 and 80 miles per hour during our flight, varying only when the nose rose or fell as I flew shallow lazy-eights around the airport area. During my preflight briefing I was advised to lead all bank changes with rudder. That proved to be the best way to reduce the adverse yaw generated by the huge ailerons on the upper wings. About half way through the flight I felt pressure being being applied to right rudder pedal that slowly fed in almost full rudder deflection. I assumed that Robin had been yawing the plane from the front seat to demonstrate the effectiveness of the control surfaces. There is no communications system between the two cockpits, so I couldn’t be sure. I saw him make a gesture indicating a desire to reduce the yaw and coordinate the flight, so I removed the rudder deflection and continued my flying. Afterward I asked Robin about the incident and he said that he was not on the controls at all. It was one of the little quirks of Jenny flying. Occasionally the airflow around the tail will cause the rudder to fully deflect one way or the other unless the pilot keeps positive centering force on the rudder pedals. 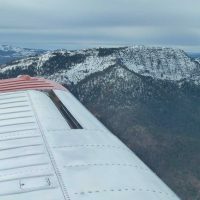 I was thoroughly enjoying my self just flying in the vicinity of the Schellville Airport making lazy turns back and forth across the small valley never higher than pattern altitude. I found myself constantly looking around for other aircraft that might be entering the traffic pattern or diving at us from out of the sun but I always came back to the beautiful view of those wings, vibrating wires and fluttering flags. It really was a time machine. The flight came to an end way too soon. Robin took over again as I turned onto a downwind, pulled the power back and made a diving left 180-degree turn toward Schellville’s grass runway. He rolled out of the turn just above the ground, flared and let the main wheels gently touch down. As the tail came down you could hear and feel the tail skid running through the grass and dirt as it slowed the aircraft. The combination of the skid and the slow landing speed of the Jenny found us adding power to taxi to the west end of the 2700’ unpaved runway. The engine was turned off and as the prop slowed and stopped it’s rotation the present time forced it’s way back into my view. I was ready to go up again but there were two more people in line for rides that day so I reluctantly climbed out of the cockpit. I will forever be indebted to Frank for allowing me to experience the joys of Jenny flying in his most prized possession. Frank’s Jenny has won some of the most prestigious awards given to aircraft restorations, among them the Antique Grand Champion (Gold Lindy) at EAA’s annual convention in 2004 and the Rolls-Royce Aviation Heritage Trophy in Reno, NV in 2006. Frank’s participation in Airmail Days at the 2008 Antique Aircraft Association Fly-in. A 2008 radio interview of Frank by Al Malmberg of WCCO radio in St. Paul, MN. A pdf version of a 2005 EAA Vintage Aircraft Magazine article.